I spent a week in Russia and I fell in love with the country and its people. They remind me of the misunderstood awkward kid in class who just needs a friend. I decided to take my time sharing about my experience traveling solo in Moscow and St Petersburg. I will be posting up a few short write ups throughout this week about specific incidences, my thoughts about them and my understanding of the Russian culture and people. 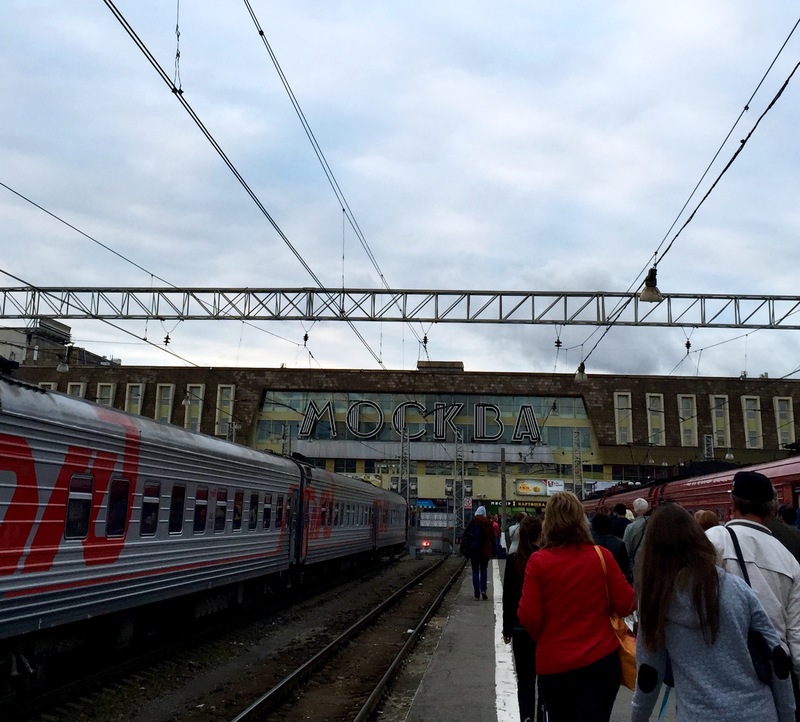 So, without further adieu, here goes post #1: My first few hours in Moscow, Russia. When I decided to travel, Russia was on the top of my list, next to Iceland. The thought of visiting the Kremlin and the Red Square and that place with all the domes just reminded me of every spy movie I’ve ever watched. It was exciting. Of course, being a tiny Asian girl, many people warned me about the big, scary and rude, Russians. Some even told me to give it a miss because God knows what would happen to me in a foreign land where people do not speak English. This only made me more determined than ever to visit the country because I possess a very strong rebellious streak. A little sidetracked but this was too funny not to share. 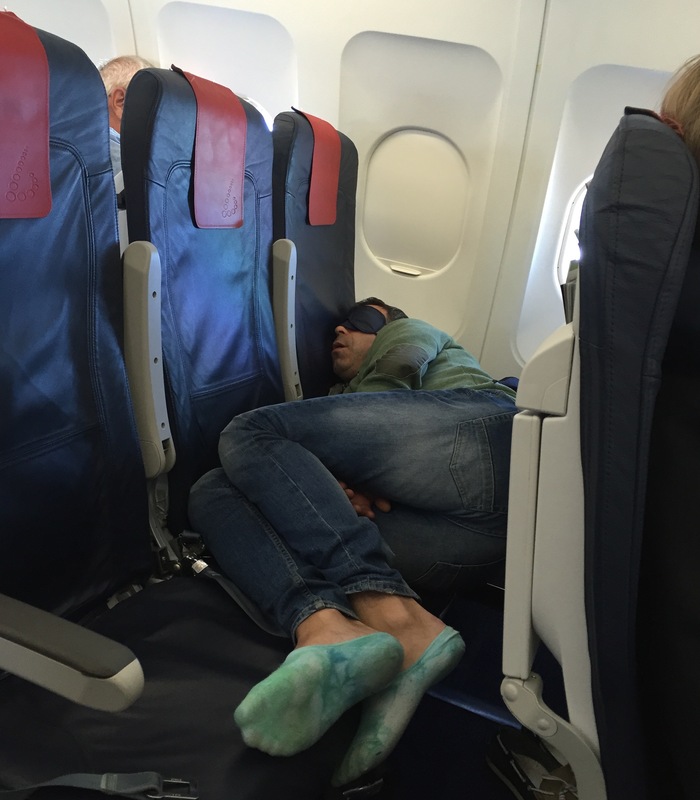 This guy was on my flight from Brussels to Moscow. Upon landing in Moscow, it felt like I was about to have an adventure of a lifetime. I was so excited. And then I hit the queue for passport control. I use the word queue rather loosely here. It was more like a herd of people unsure of where they should go (because no one did what the signs told them to do and no help was given by the airport staff, just a lot of stern looks and exasperated comments). It was a game of push and shove, something I had lost touch with ever since I was introduced to the art of queuing in Britain. Those folks aren’t patient but they’d rather complain whilst standing in line, unlike the rest of the world. Being a miniature version of a grown woman, I had to ask taller people what was happening in front because I simply couldn’t see. Seriously, I couldn’t. It took me all of two hours to get through the mess, which was where I met a pregnant lady who was standing for more than an hour by the time we spoke. After that, I picked up my bag and exited the safety net of the arrival lounge into the large and busy airport. Having spent the last few weeks in smaller cities, the number of people who walked past me and sometimes straight into me (because I’m short) was a little overwhelming. I made a beeline for the information centre and the lady there had no clue what I was trying to say. “AEROEXPRESS”, I said with as much clarity as I could muster and she stared back at me like I was crazy. I decided to just handover my printed out directions and she understood it right away. “Straight and left”, she said. Straight and left I went. The only problem was that all the signs for it seem to have disappeared after a certain point and the Aeroexpress was no where to be found. I asked another person at a desk and this time, he pointed to a tiny corner that was supposed to lead to the Aeroexpress. The little pathway was crowded and it was all very confusing. Everyone seemed to be looking for the Aeroexpress and had been told to head to this little corner in the airport but the lady working there was turning people away without giving them an alternative route. Sweaty and confused, I asked a couple next to me if they were looking for the same thing and they said yes. The husband then asked me to follow them and we began running for it. Me, with a giant pack, running through a crowded airport. And then I lost them. As soon as we exited the airport, I lost them. Great Nic. Just great. I was trying to suss out who was most likely to be able to help me when a random lady tapped me on the shoulder and told me to follow her to the illusive Aeroexpress. This time, there was no running. We walked silently to the ticket machines where I thanked her profusely. It took me minutes to get a ticket and get on the train that would take me to the metro station. The metro station at Domodedvo looked like it came out from movies in the 60s or 70s, with the longest escalator leading to the underground. Again at the station, I had to ask a stranger which platform I needed to get on and she pointed me in the right direction and gave me a motherly nudge as if to say “Your ride is here, get a move on honey!”. The metro ride was hot and stuffy as all underground subways seem to be. It took me another 20 minutes to find the hostel and when I did, it felt like I had reached an oasis of calm. So, the trip might have turned out a little more chaotic than I expected..
Pingback: 5 ways to figure out if solo travel is for you | NEXT TRAIN OUT.